Here's something new that I have learned about myself; I'm obsessed with the monochromatic look. Honestly, you should be too! There is something so cool to me about wearing the same color from top to bottom, or at least colors close enough together to compliment each other. It kind of takes me back to art class when I was a little kid in school, seeing how similar colors look so amazing together and it just works when putting together an outfit. Think about it, these types of looks can be SO effortless! If you're having one of those days where you really have no clue what to wear, grab some black jeans, black top, black shoes, a pop of color on your lips and boom, girl you are looking good! So I guess I should have explained exactly what a 'monochromatic' look is. The word monochromatic basically means "single color", so when you wear a monochromatic look, you're pulling your outfit together with one color or at least colors that compliment each other and are close. 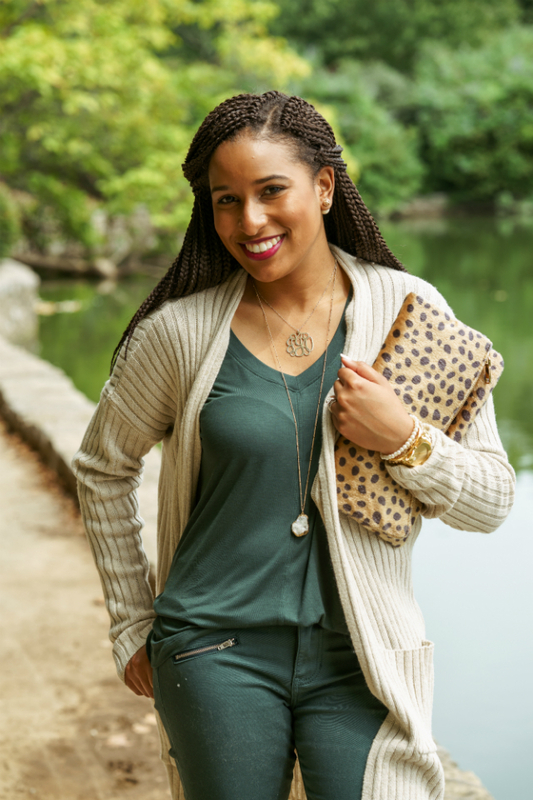 This outfit from Cabi is SO comfortable, yet so cute! These pants fit me like a dream and this top is so flowy that it hides everything I need it to hide! 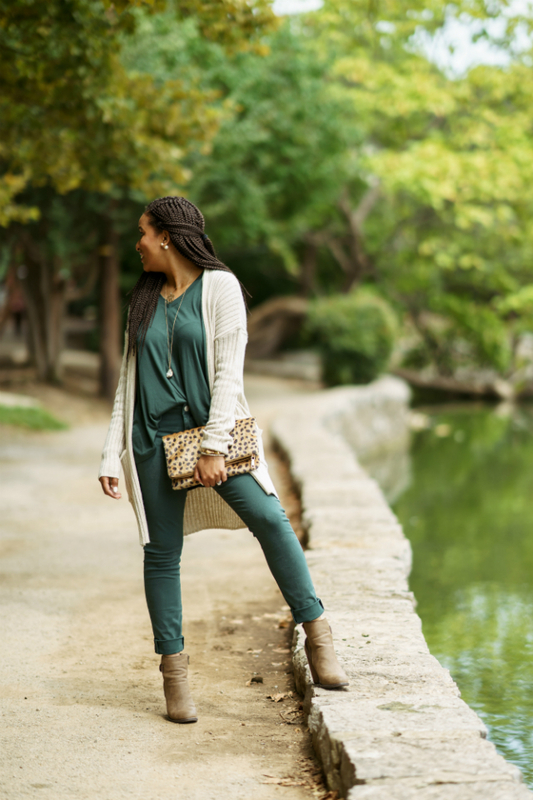 I decided to throw on my tan cardigan with it because we all know how those cool Fall nights can be, but I am looking forward to wearing this outfit without the cardigan and maybe pop on a scarf or something. How do you feel about the monochromatic look? What's your favorite color to wear? 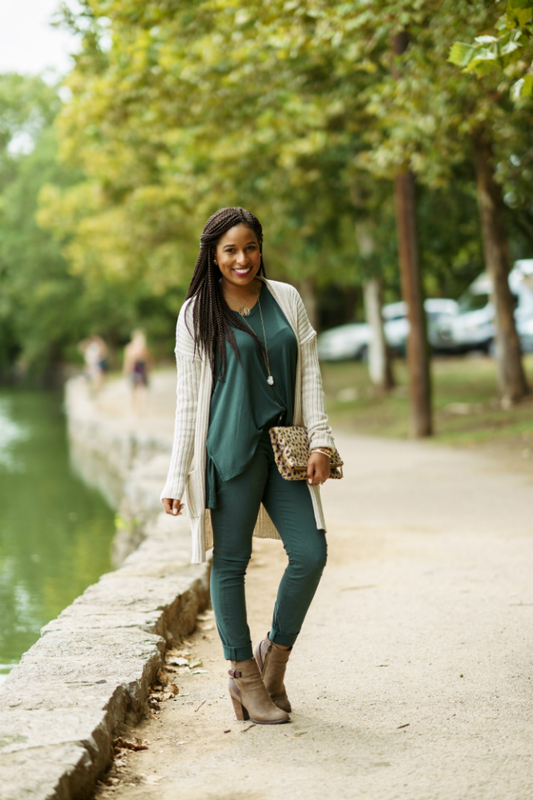 Definitely look out for more variations of this trend on my blog all season long.. because I'm obsessed! That green looks perfect on you lady! I love monochromatic looks and this outfit is no different. You look gorgeous, girl! I love monochromatic looks too! I've really only done it with black and with blue though but love your hunter green pairing!! I need to try it! I love this look!! Beautiful look in green!! Gorgeous girl!! This entire look is giving me all of the Fall feels!! Such a pretty fall look! Love this pretty green on you. I also love monochromatic looks! Cute! I LOVE this color on you! It looks so beautiful!!! 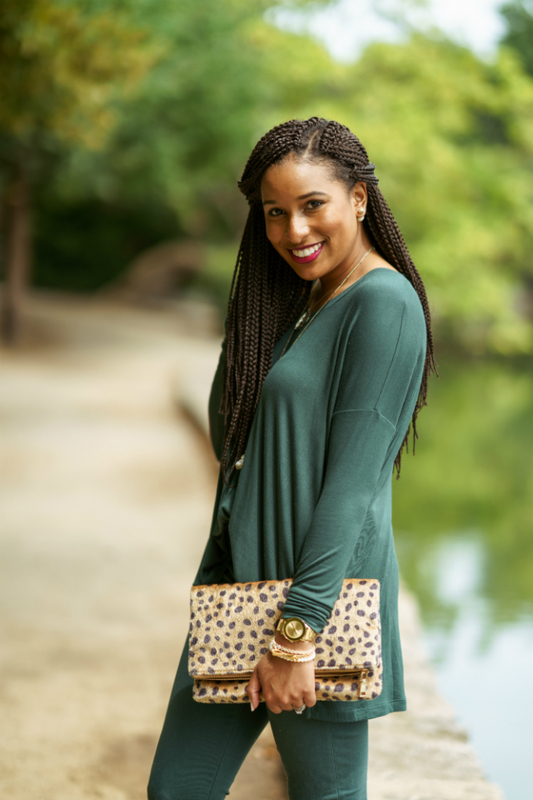 love the long cardigan, such a great staple piece! 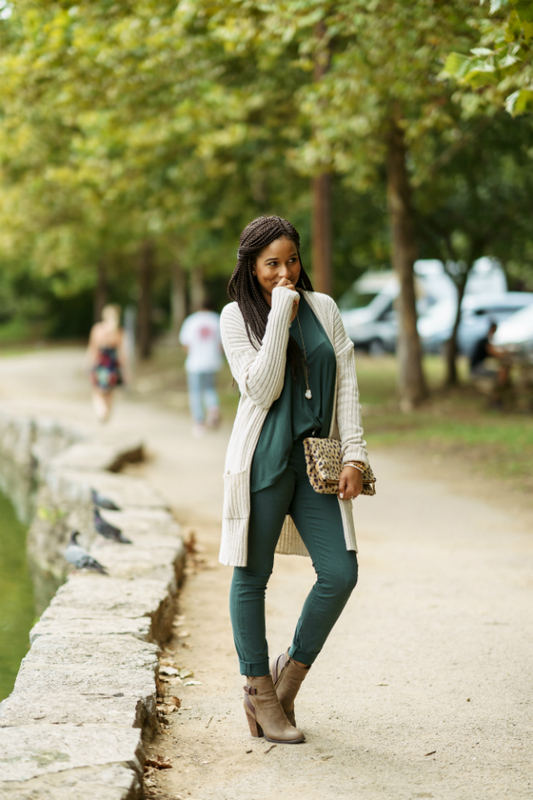 Love the monochromatic olive! Perfect for fall!